MOTION CAPTURE AND VIRTUAL REALITY : A POWERFUL COCKTAIL! 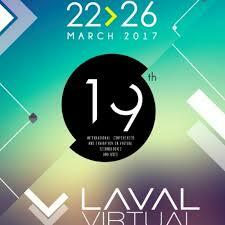 Come and visit us on Stand B11 at the Laval Virtual Conference from the 22 – 26 March 2017! Members of the team will be present during the days for professionals from the 22-24th March and during the open days for the general public, 25-26th March.